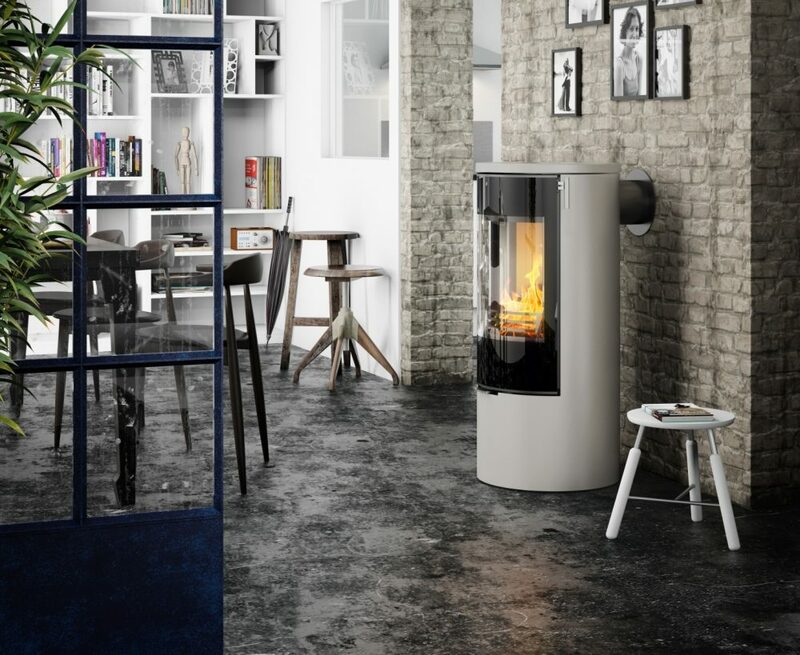 Among the newest additions to the Rais collection, the Viva L 100 wood burning stove embodies the elegance and beauty that Rais is known for. This, in combination with the stove’s efficiency, and optional glass side panels for panoramic viewing, make this stove a work of art. The circular Viva L 100 is a true proponent of the elegant and minimalist: it is simple, smooth and beautiful. A glass pane of massive proportions and a large combustion chamber bring even more pleasure from the fire – and are also super easy to install. Achieves high standard of testings for a non-cataylitic wood burning stove with 1.1 emissions. The new, redesigned “cabinet-style” handle is given a discrete placement at a convenient height, and simple to use. The stove comes standard with glass door. A host of options to choose among: colors (black, platinum, nickel) side glass, top plates (stainless-steel, deep, soapstone) 360 degree swivel base.